Dgr2 kabar, bdk opis dpt gaji arini..Siap ade increment lg tu..tp, aku dpt ke???.. Hmmm, persoalan yg pyh nk dijawab..hehe..
Tp yg pasti, psni nk g beli Baby wrap tuk baby.. Thanks Baby. I love u.
Orait, back to our topic. Today nk citer cikit psl Baby Wrap/ carrier. Function die, nk dukung baby jer. Indonesia pn, ade product dier..pkai kain batik jer..sonang jer. Cume, nk bgtau sedikit sebanyak kebaikan baby wrap ni..
1. Dukung pkai baby wrap ni, akan support leher & kepala baby, terutama skali time baby sleeping. 2. Kalo pkai baby wrap ni, fit at any body size. x pyh risau kalo bdn kite besar or kecik..hehe. 3. Easy to mom yg breastfeed. x yh shh2 g baby room kt shopping complex. kalo nk tuka nappy jer, baru g kan..
6. Easy to used & durable. bleh masok washing machine. 7. Secure - No wrinkles, bulges of loose materials when baby wearing. 8. 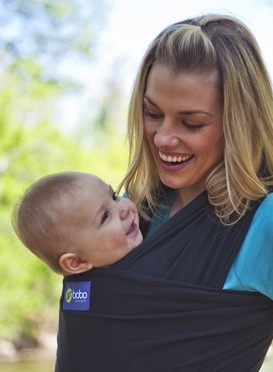 No time limit to how long your baby can stay in the wrap- there is no pressure point on baby & Mom. 11. Pregnant baby in & out for nine month. Ni dgr mase ade talk kt National Library aritu. Dukung ni sgt bagus tuk baby and momi sbb die akan merapatkan lagi hubungan baby. Tu jer, point yg ade..kalo korang mampu, bleh beli baby carrier Ergo. http://www.facebook.com/mamapandastore - my friend jual baby carrier. Which do u prefer; high salary or benefit & good working environment? ..Welcome to My Blog.. Just want to share all things to all..